Teenage birthday party ideas are tough because princess and pirate themes are no longer an option and you’re limited to what’s “cool,” which is an ever-changing and somewhat risky thing for parents to shoot for… That being said, I went hunting and found 16 birthday party ideas for teenagers that I think (hey, I’m just shooting to be cool too) could win you the title of “Cool Parent” (at least until you have to take away their cell phone again) and make your teenager’s next birthday party the best yet! And, be sure to check out these gift ideas for teenagers too! Pin this image to save the post! Not only is candy super tasty, but it actually makes for great decorations too! You could stick to a color theme, style of candy theme (vintage? ), etc. Sometimes teens have a short attention span, and these minute-to-win-it games make for a perfect teen party! They’re simple to put together and quick to play… oh, and always fun. My teen daughter loves doing photoshoots with her friends. They would get a kick out of having an Instagram or SnapChat party… complete with lots of pictures of themselves! No post on teenage birthday party ideas would be complete without mentioning night games! There are so many fun games to play and there’s something about doing them in the dark that makes them extra fun. How would we ever know how our teens feel in their texts without emojis?! Just teasing… kind of. There’s so many cool things you can do with glow in the dark products… tag, volleyball, kickball, you name it! My teens love getting together to watch movies. With a table filled with food, an outdoor movie would be a total hit. This is for the fancy teen who loves a little sparkle… or a lot of sparkle! This is such a pretty party! 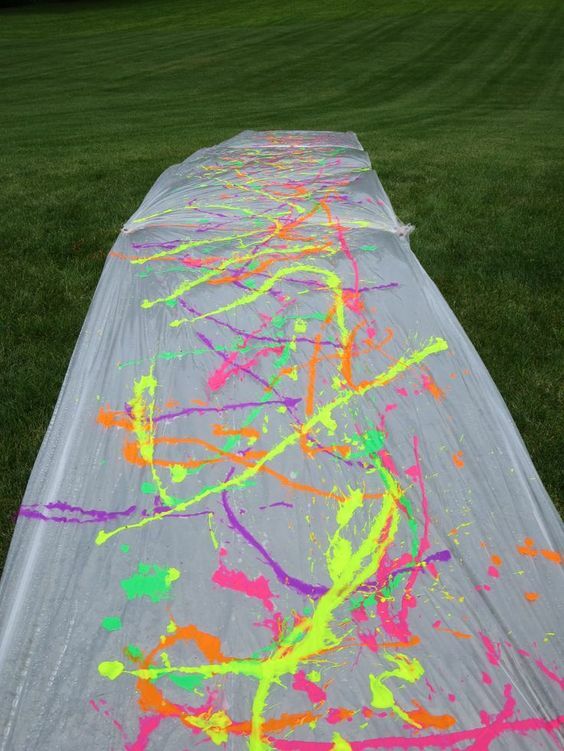 Have you ever done a giant slip n’ slide?? This is the kind of party I want to be invited to! … are parents welcome? We’ve had so many fun times on these things! Living in Utah, the beach isn’t really an option. But, we can pretend! While looking for fun teenage birthday party ideas, this one definitely caught my eye! Back to the ‘teens like to take pictures of themselves’ thing… a photo booth party! Hello. 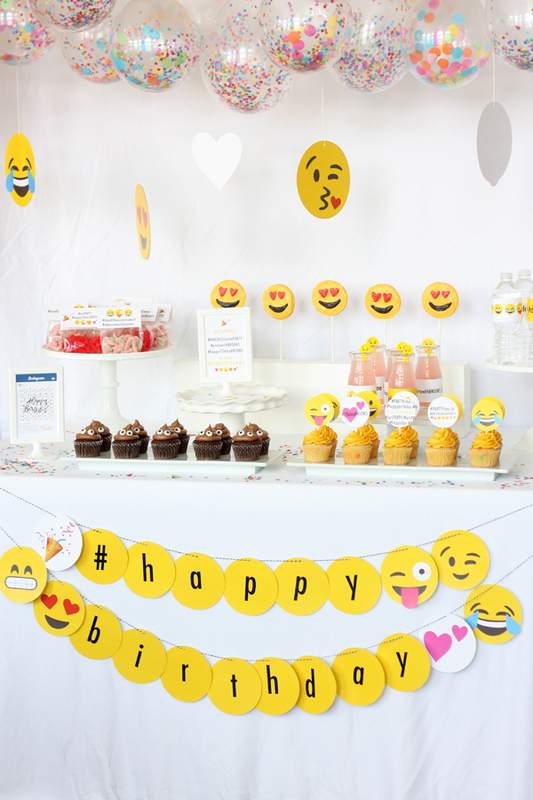 There are so many cute photo booth props that the kids can have a blast with! We’ve all seen the pictures of color fights… they look SO fun! I’m not sure how this couldn’t be a memorable teen party! If you don’t have a bonfire, maybe you have a patio fire pit that can be used… or if not, I don’t think teens would complain about using the microwave. S’mores are welcome however they come! I realize it shows younger kids at this party, but teens like to cook too and how fun would it be to let everyone decorate their own cake? Say ‘pizza’ and my teens are there. That’s all. If you’re planning a teen birthday party you might want to check out these GIFT IDEAS FOR TEENAGERS! Some additional images to pin… save this post for later! Thanks for sharing my rad color party! Appreciate it & crediting me. Have a great day!